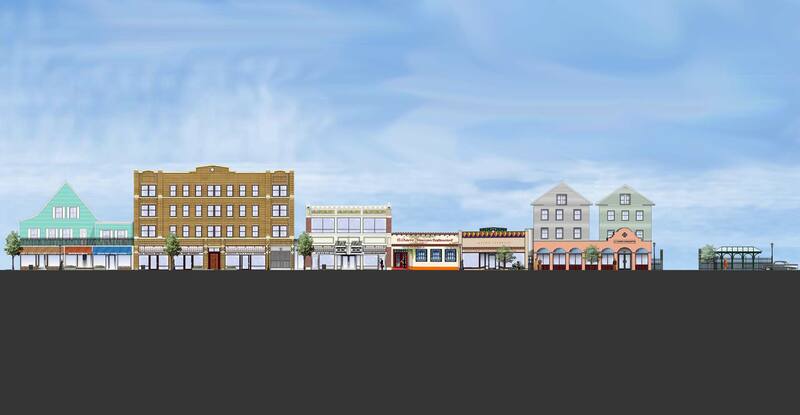 In association with the City of New Haven Office of Economic Development, the Community Economic Development Fund (CEDF), and the Grand Avenue Village Association (GAVA), Kenneth Boroson Architects developed conceptual façade improvements for a significant length of Grand Avenue located in the Fair Haven neighborhood of the city. 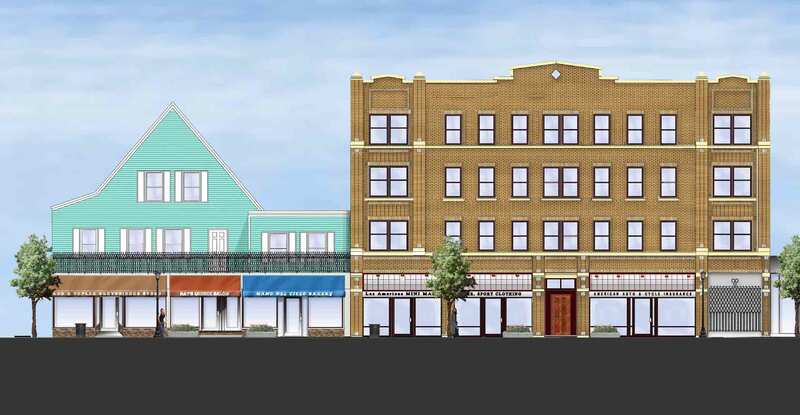 Properties included a mix of two- and three-story masonry and wood-framed buildings with commercial spaces on the ground floors and residential units on the upper floors. Funding for the design and construction of the new façades was available to retailers from a variety of sources. 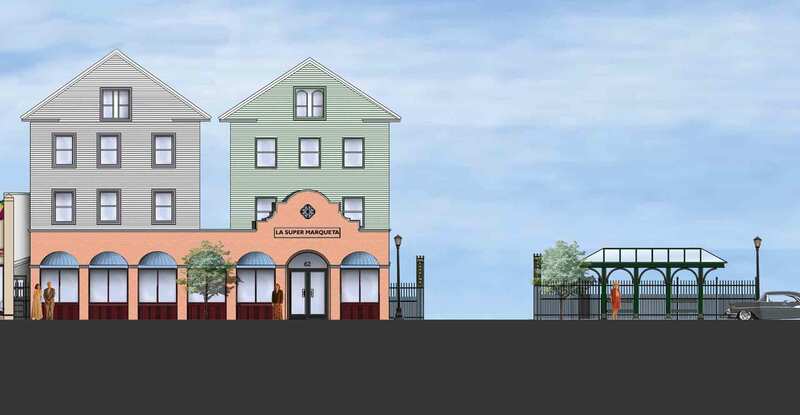 Kenneth Boroson Architects established guidelines and provided further designs for Apicella’s Bakery, C-Town Supermarket Plaza and La Super Marqueta, including streetscapes, storefronts, signage and lighting. 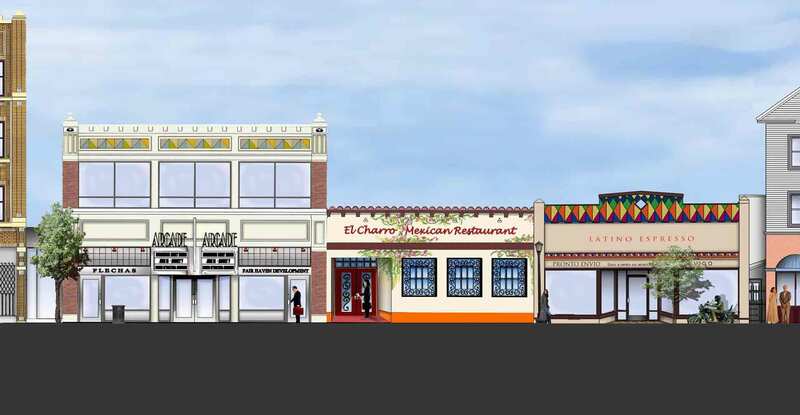 The design of the new façades reflects the spirit of the Latin American culture, as requested by the community.